A press release lands on our doormat with a small bottle. 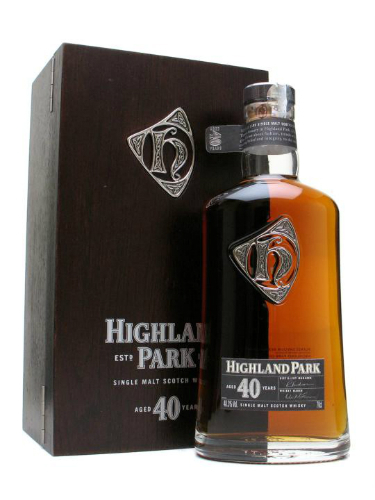 Not an unusual occurrence; but this is a far from usual bottle, as it contains no less than Highland Park 40 year old. 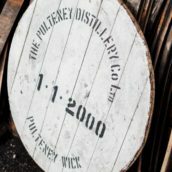 I first tasted this whisky as part of the panel for the World Whiskies Awards in 2009, and was delighted when it picked up Best Newcomer in the awards that year. 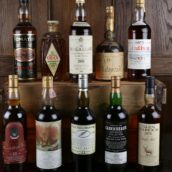 The reason for this sample, however, is that HP are celebrating the 40th anniversary of super-posh Scottish hi-fi manufacturers Linn by teaming up with them to create a product that will have whisky-loving music fans drooling. For Linn have used some of Highland Park’s Spanish sherry oak casks to make a special edition of their legendary Sondek LP12 turntable. And it has to be said that this is a particularly drop-dead-gorgeous piece of kit. The sherry casks have been turned into the plinths for these glorious turntables. Let’s get the bad news out of the way – you probably can’t afford it. 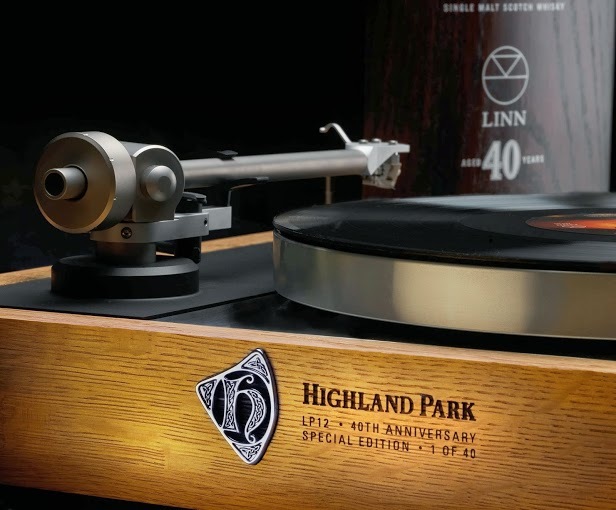 At £25,000, the 40th Anniversary Linn is not for the masses – in fact, only 40 of these beautiful objects have been made. 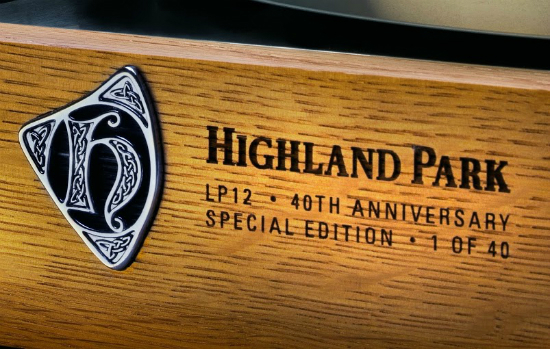 However, each turntable does come with the added bonus of a bottle of Highland Park 40 year old to help sooth that pain in your wallet. 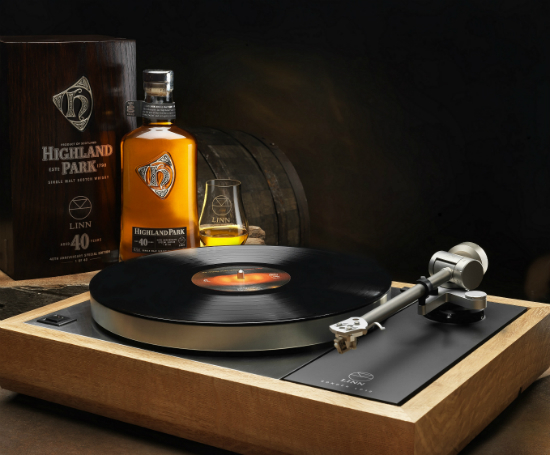 The whisky itself, of course, can be had sans turntable for a mere £899. Rock on! Nose: Deep oak, with hints of leafy mint and fennel, varnish, prune juice, old wood, a tiny thread of smoke, wood glue, damson jam, furniture polish. Develops muesli notes and old orange liqueur in the glass, autumnal moss and dead leaves, plus hints of aromatic precious woods eg sandalwood, teak etc. A very deep, resonant nose. Palate: Rich, deep oak again, quite warm and full undiluted. Mighty oak power, with big spices – pepper, strong clove, hint of hot chilli. 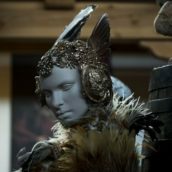 The varnish and polish are there as well, along with the wood glue, some old leather, barley sugar and a nougaty nuttiness. Finish: Pretty long with drying spice, that very old leatheriness and lingering oak. 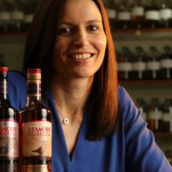 Comment: A very venerable, old-leather-sofas-in-posh-libraries kind of dram. I briefly considered trying it with water, but decided not to risk it as the balance was so good au naturel and dilution is always a risk with these very old drams.